Since version 3, Lightroom has offered a number of profiles to emulate different in-camera picture styles, but they’ve been hidden away in the Camera Calibration panel so most people didn’t know they existed. In the April 2018 Lightroom releases, these profiles have become first-class citizens, moving to the top of the Develop panels, and many more profiles have been added. Profiles are designed to be selected first, before you start editing, just like choosing a specific film stock for it’s unique “look.” You can select a different profile at any time, and your slider values will remain untouched, but the look of the photo may change considerably, so it’s more efficient to select your profile before you start editing. The Profile pop-up is found at the top of the Develop Basic panel in Lightroom Classic (left), or in the Profile panel in the Lightroom CC apps (right). To view the full range of profiles, click the Browse button (the four-squares icon in Lightroom Classic) to open the Profile Browser panel. The thumbnails may be a little small to preview properly, so to preview a profile on the main image preview, simply float over the profile thumbnail or name. When you’re ready to apply the profile, click on it and then click the Close button at the top to return to the normal Develop panels, or double-click on the profile to do both at once. Over the course of time, you’re likely to find you use some profiles more than others. By clicking the star icon in the corner of the thumbnails, you can mark these profiles as your favorites. This groups them in the Favorites folder, and also adds them to the main Profile pop-up, so you don’t have to open the Profile Browser every time you want to switch profiles. As you look through the profile browser, you’ll note that the profiles are grouped into sections, and then into folders. There are no profile management tools yet, so you can’t hide, rename, delete or reorganize the profiles in Lightroom. The Camera Raw plug-in for Photoshop does already have profile management tools, such as the ability to hide profiles and profile sets, and any changes you make in Camera Raw apply to Lightroom as well. There are two main types of profiles – camera-specific profiles and creative profiles. Camera-specific profiles only apply to raw photos, so for rendered files (JPEG/TIFF/PSD/PNG), you’ll find a Basic folder containing just Color and B&W. The Adobe Standard profile has been the default since Camera Raw’s inception. It was intended as a good starting point for your edits, and it aimed to make photos from different cameras look as similar as possible. Adobe Color is the new default for color photos. It adds a little more contrast and saturation, while attempting to protect the skin tones. The aim is to look great on a wide range of photos. Adobe Monochrome is designed to be a better starting point for B&W photos, with improved tonal separation. Adobe Portrait is optimized for a wide range of skin tones, including very pale skin and very dark skin, so it’s ideal for portraits and family shots. Adobe Landscape removes the skin protection and compresses the tones to give a little more headroom for outdoor photos that often have a wide dynamic range, and the blues and greens are enhanced to benefit many landscape photographs. Adobe Vivid looks like it’s on steroids, with a very punchy and saturated effect. It’s great for sunsets! Adobe Neutral is a very flat starting point, ready for you to edit in your own way. It’s ideal for photos with tricky colors and gradients that just don’t quite work with the other profiles. The camera matching or camera emulation profiles have been available for years, hidden in the Camera Calibration panel, but they’re now easier to find. They’re designed to mimic your camera JPEG, so they’ll more closely match the image you saw on the back of the camera, although they’re not available for all cameras. 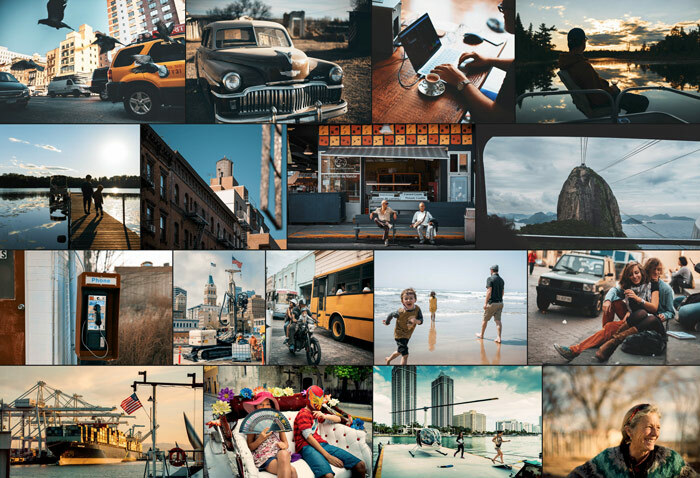 The Profiles folder contains camera-specific (.dcp extension) profiles that you created using the DNG Profile Editor or X-Rite ColorChecker Passport plug-in, or older camera-specific profiles created by third-parties such as VSCO or RNI Films. The Legacy Profiles folder contains B&W versions of the old profiles. As the folder name suggests, these are just to maintain compatibility with edits done using previous Lightroom versions. The next section of folders contains a selection of creative profiles. These are primarily designed to apply special effects or a specific “look” to your photo, and they’ll work for rendered files (JPEG/TIFF/PSD/PNG) as well as raw photos. Unlike the cameras-specific profiles, they’re designed to not need much further tweaking, beyond corrections for exposure, lens distortion, sharpening, etc. The Modern profiles represent current fashions in photography, while the Vintage profiles are designed to look more like film photos. The Artistic profiles are designed to be more edgy, with stronger color shifts. The B&W profiles are optimized for high impact black and white work, offering a range of color channel mixes and tonal adjustments. In addition to the selection of numbered B&W profiles, there are additional profiles to imitate the effect of adding a red, orange, yellow, green or blue filter that are traditionally used at the time of capture when shooting B&W film. The effect of the Creative profiles can be faded or exaggerated using the Amount slider at the top of the Profile Browser panel or Basic panel. 100 applies the effect as the developer intended, but moving the slider to the left reduces the effect of the profile, and moving it to the right exaggerates the effect. Creative Profiles sound a bit like the Develop Presets you can download online, so what’s the difference? Layered Adjustments – Presets save sets of sliders values to easily apply to other photos, but because they move sliders, they can overwrite the edits you’ve already made to a photo. If you’ve increased the Exposure by +1 to correct for underexposure, many presets will wipe out this edit. Profiles, on the other hand, act like a separate layer of adjustments, so they don’t move visible sliders. Smarter – Profiles are also smarter than presets. They can contain normal slider adjustments to be applied “behind the scenes”, but they can also include LUT’s (Look Up Tables) for much more advanced color adjustments. 3D Look Up Tables can, for example, tell Lightroom to make this shade of blue yellower and make this shade of blue more saturated and this shade of blue lighter. The tables allow profile developers to apply specific adjustments in very precise, targeted ways that are not possible through any of the current sliders. Fade – Creative Profiles can also be faded or exaggerated using an Amount slider, depending how strong you prefer the effect to look, whereas presets require a plug-in to accomplish this task. So in summary, they’re different tools for different jobs. Presets are best used for your own creations, and for modular systems (use this preset for sharpening and a different one for grain), whereas commercial developers will gradually move over to creating profiles for their film effects and similar, because the profile editor allows them greater control. Presets can select profiles, for example, if you always add grain, a vignette and a little contrast to the Vintage 08 profile, you can create a preset that selects the profile and makes the slider adjustments in a single click. Some third-party profiles are already available from companies such as ProLost, Brian Matiash, Contrastly, DVLOP, Jared Platt, Keven Kubota, Matt Kloskowski, Nicolesy, and RNI Films, although these are currently limited to the desktop apps (profiles and presets don’t currently sync to mobile). I’ve only seen the ProLost ones so far (samples below, images ©ProLost), but it’s interesting to see the variety of looks already being created. This is just a whirlwind tour of the new profiles to get you started, but there’s more information in the 7.3 eBook update of my Lightroom Classic book and it will also be in my upcoming Lightroom CC book (release date to be confirmed). Slide of amount is missing? you see it when you choose a profile. Bob’s spot on… and to be a little more specific, it only appears for creative profiles, not the camera-specific ones like Adobe Portrait or Camera Standard. Uh huh!! Personally I think the creative presets should have been separated out from the camera-specific ones, maybe moved over to near the presets, but they had other ideas. 😉 I’m sure we’ll soon get the hang of it. I had the same experience. Thanks for explaining. Greetings from Toronto. Thanks again for a wonderfully informative newsletter and all the exciting developments at Adobe. I had some dithering at the start of the year about whether or not to stick with the package (Lightroom Classic, Lightroom CC and the 1TB storage). But these programmes represent such great value that I am really persuaded. I recently completed a DSLR instruction course and now have the courage to put my pictures into MyPortfolio and Behance. Thanks for all you do to instruct and encourage. To add; those of you running the latest version of Adobe Camera Raw (10.3 only) can create your own profiles. Alter controls as desired, then when making a Preset there, holding down the option key when pressing “New Preset” should bring up a “New Profile” dialog instead. You can’t yet do this in LR but the profile you create in ACR can now be used in LR. Thanks Andrew! The link for the SDK instructions is now live in the blog post too. There’s some useful information on how to use SDK’s and what some of the other settings mean too. When/where exactly do you press the option key? That’ll be in the Camera Raw dialog, with the Presets panel open, you hold down Opt while clicking the New Preset button at the bottom. Have a read of the SDK linked in the post above and it’ll walk you through the process. Do Creative Profiles further tie me down to LR in the event I wanted to switch to another editing program? Will the profiles be lost if or end results not transfer to Capture One, etc.? I recall the difficulty Apple caused when they abandoned Aperture and I lost my edits, or at least they made me burn separate images into JPEGs to get them into LR. Hi Joe. You’re no more tied down with profiles than you are with any other Lightroom Develop settings. They wouldn’t be compatible with other software, but nor would any of the other edits. That is the nature of non-destructive editing. Anyone else having having crashing problems and other issues with the new Lightroom Classic CC 7.3? 2) Lightroom is now extremely slow on startup, 1 minute or more to open a catalog with 140 images in it, this is even after all the presets have been converted to XMP files (yet seemingly still retain their “.lrtemplate” suffix. I’m running Mac OS Sierra on MacBook Air with 8 GB of RAM. Previous 7.2 version was rock solid stable. Even turning GPU off does nothing and Lightroom still crashes. Ouch, that sounds frustrating Stephen. I’d try an uninstall/reinstall, as sometimes that cleans up these kind of gremlins. It’s not still trying to convert the presets again every time it opens, is it? Do all of the .lrtemplates now have a ~ in front of the name when you look at them in Finder. Thanks much, Victoria, that’s the most helpful write-up I’ve read on the new Profiles feature. Victoria. LR classic kept freezing for me when going from library to develop. I always think this is a problem but just now I left LR open for a while and now there is no freezing. I think, as you suggested, there was something going on in the background and as soon as that had finished, there was no more freezing. Thanks for being there for us. I’m sure this feature will result in added creative possibilities, but from a usability perspective, it’s all quite confusing. In the end, we just want to bring the image from its original unaltered state to something else. Presets were already there to do this. But now we have a seperate part of the application with a different set of features that cannot be altered after they’re applied. I’m just trying to make sense of it and how the work-flow will be. First apply a profile, then perhaps a preset, then altering the result to taste with the sliders? 1. Select a default profile (e.g. Adobe Color or Camera Standard) and then apply your chosen preset, then adjust sliders. 2. Select an artistic profile, then adjust sliders. 1. You mainly shoot portraits, but you like a bit more Contrast with the Camera Portrait. You could create a preset that applies both the Camera Portrait profile and the extra contrast in one go. 2. You use an artistic profile, but you have a preset that adds your preferred vignette, rather than applying the artistic profile and then moving 4 different vignette sliders. The list of third parties for profiles is mostly for presets. So far, I’ve only seen profiles from ProLost and Matt K. Are these companies that have committed to profiles? Links now take you to their Creative Profiles page, and some are free. 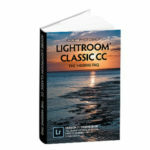 Have just upgraded to Lightroom Classic CC 7.3 but I do not have the Profiles section in my Basic panel. I can see from other posts where it is supposed to be but it simply does not show up at all. Have uninstalled and re-installed 7.3 with the same sad result. 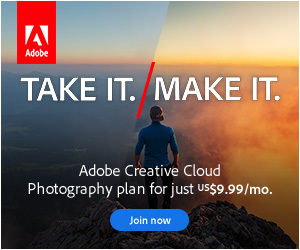 Considered going back to 7.2 for the time being but the Other Versions option is not available in Adobe Creative Cloud, even though it says I’m signed in. Any advice much appreciated, thanks. Paul. That’s a bit bizarre. Can I get you to post a screenshot on the Official Feature Request/Bug Report Forum at https://feedback.photoshop.com/photoshop_family/topics/new/add_details?topic%5B along with the contents of Help menu > System Info please? That might give the engineers a clue. I too have Lightroom Classic CC 7.3 on my MacBook Pro and like Paul above I’m not seeing the Profiles section show up where it’s supposed to be. I *am* seeing the Dehaze tool just below the Clarity tool in the Presence section however, so there is that. I should mention that I’m not a subscriber to Creative Cloud at the moment so the Develop Module is disabled. I’m not sure if this has anything to do with the absence of Profiles, but I wouldn’t think so. I checked at the bottom of the menu section under Camera Calibration and I *can* see a Profile option immediately beneath Process. Weird. It sounds like the installer only replaced half the files! Hi Victoria, Thank you very much for all the tips and informations on your site! Always very helpful. For the new update profile issue, I’m also trying to figure out how to implement or import old profiles as the option no longer exist. Let’s say if you are using VSCO film presets, each of the film preset had its own profile, However, the new update indicates “Profile missing” under the profile bar. Is there anyway to import those profiles to 7.3? It’s possible they’ve been missing for a long time, as the profile missing warning is new, so you might just have not spotted them disappearing. All the profiles were there under the path you provided. So I’ve moved some other profile folders in LR as well as ACR to different place to see if any would help. And somehow when I moved camera profile fold to desktop and placed back where it was. After restart of LR converted preset again and now VSCO film profile are no longer missing! It might was to do with converting preset process. I wish Adobe makes option available to convert profile to XMP somewhere in top tool bar or preference. Thank you very much for all of your help as always! Excellent! Weird that it happened, but I’m glad it’s working. There isn’t a convert on demand menu command, but the preset import (under the + button on the Presets panel) will convert lrtemplate presets to xmp on the fly. Victoria, I’m very happy to see the interface change. I know the developers intended LR to be a top down editing system in the develop module. For the last few years instead of working down the develop module, I’ve been jumping around from the old profiles, to dehaze and then finally to the edit module. The new layout makes much more sense in terms of my workflow. So far I have to say that I’m underwhelmed by the new profiles, both the 3rd party and the ones provided by Adobe. There are a few nice ones but most of them don’t do it for me. Do you think we will ever see NIK like effects available as profiles? Yeah, I think the third-party ones will be much more exciting in future. This is all very new, so they’re just first attempts at the moment. This was all still in flux until very recently, so they haven’t had time to play and figure out all of the possibilities yet. If there are specific “looks” you’d like to see, you could send examples to some of the third-party developers to give them ideas of what you’re looking for. Hi Victoria, thanks again for a very helpful articles on the new profiles. Picking up on your point about profiles not being compatible between desktop and iOS versions, this is frustrating because it now means I can’t really use Lightroom CC for editing many images started on the desktop. I use VSCO Film but when I now try to edit the image on my iPad I get a message saying that the VSCO profile isn’t available on the device and will be changed if I continue editing, and if I want to keep the VSCO profile I need to edit the photo on the device you originally edited the image on. Previously I could apply the VSCO preset (which also changed the profile) on the desktop, and then make slider adjustments on synced collections on iPad. I was just starting to enjoy that as workflow that got me out from behind a desk, but back to square one. Is there any workaround you can suggest? Eg can you “turn off” profiles in iPad version? Or is there something I am missing about enabling the profiles to be recognised by Lightroom CC on the iPad? The only solution right now is to let it revert the profile to Adobe Standard and then put the VSCO one back when you get back to your desktop. That’s essentially what it’s been doing until now anyway. Just be aware that the results won’t look the same as they did on mobile (as they haven’t until now, except they were failing silently). I’m really excited about profiles, they’re going to be awesome once we all get used to them. But does anyone else feel confused by the way the profile browser kind of takes over all of the right-hand panels when it’s open (except for the histogram)? It doesn’t behave like anything else I can think of in the panels. I’d expect it to stay contained within the Basic panel. That’s taken me a bit of getting used to too, so it’s not just you. Victoria, I am just getting use to Lightroom CC and like the Profiles but I don’t see what you show in your article, at least not completely. I am running the latest 1.3 version and yet I don’t see “Adobe Color” under profiles, just ‘Color’ and the drop down gives me no more than ‘Color or Monochrome’ options. Going to ‘Browse’ brings up only those 2 Profiles. Below that I see additional drop downs for Basic, Artistic, B&W, Modern & Vintage. The Basic drop down shows only the 2 profiles: color & mono. Nowhere do I see references to “Adobe Portrait or Landscape or Neutral, etc.” that is shown in your article. Am I suppose to be seeing those or are they things you added somehow? That just means you’re viewing something other than a raw file – a JPEG, TIFF, PSD, something along those lines. Oh well done, I didn’t spot your reply. Yes, C:\ProgramData\Adobe\CameraRaw\CameraProfiles is the right spot for third party profiles. The Show Lightroom Presets Folder button still takes you to the old presets location, where all the other types of presets are still stored. unfortunately there is no info about where my IR camera profiles went. If they’re DCP format profiles, they should show up in the Profiles folder of the Profile Browser, and they should still be in the same place on the hard drive. Are you not seeing that? Ive tried putting some .dcp files into all the various folders suggested. 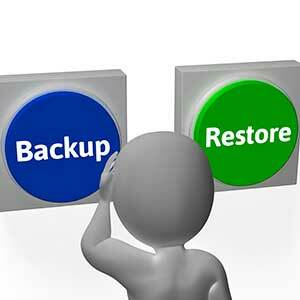 You can’t convert them to xmp format – it’s a completely different kind of file. I have placed a dcp profile in the referenced folder in Windows 10, but it does not show up in my Lr 8.0. It is a profile for IR conversion created with the DNG Profile Editor. Do you know of any way to ‘make’ Lr see the profile? Do you have the right kind of image file selected? A raw file from that same camera? Good Afternoon! I have finally come around to upgrading and using this version of LR. I see the Profiles and when I click on to one, my screen goes to “No photo selected”. I then have to reselect the photo and try again… but it never applies. I have tried it several times and it keeps happening. I think we’ll need to gather more information to figure out what’s going on, and since it’s sounding buggy, it’s probably easiest to do that directly on the bug site. Here’s instructions on how to report it to Adobe: https://www.lightroomqueen.com/send-bug-report-feature-request-adobe/ I’ll look out for your post over there.